Rafael Nadal has been suffering from injuries all over his career. The World No. 1 turned professional in the year 2001 and since then, his 17-year career has been wrecked by injuries. The Spaniard has been agonized by injuries almost every year. Despite the injury-prone career, Nadal has not just sustained, but has flourished to become one of the greatest players ever in tennis. Though the Mallorcan is one of the most successful athletes in a sport, he has missed some very significant opportunities to win more Grand Slams in his career. The 17-time Grand Slam champion has had the worst and best time at the Australian Open. Nadal has lifted the Australian Open trophy only once in his career. Rafa has suffered from injuries multiple times at the Australian Open after winning it in 2009. He was denied winning four straight Majors by a hamstring injury against David Ferrer in the 2011 quarter-finals. The most excruciating injury was in the 2014 Australian Open final against Stan Wawrinka. Nadal suffered from a back injury in the warm-up and a blister in the palm. The Spaniard couldn't go through to the semi-finals of Australian Open this year because of a leg injury as he was forced to retire against Marin Cilic in the quarter-finals. Nadal has been cursed by injuries in Melbourne year by year. He has retired from a Grand Slam match only thrice in his 17-year long career, two of which came in the Australian Open. The first retirement from a Grand Slam match came in 2010 against Andy Murray in the quarter-finals. 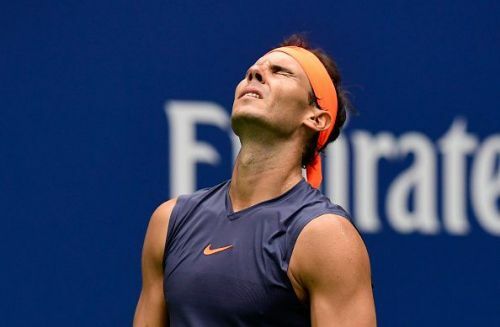 Nadal was troubled by a knee injury that curbed his free play, resulting in him trailing two sets and three games to love, when he called it quits. The Spaniard was the defending champion as he won his first Australian Open in 2009. Nadal said, "When I have the chance to play, I never retire. I felt the pain was still there. It happened at the end of the second set. I felt a similar thing to what I had last year so it was impossible to win the match."